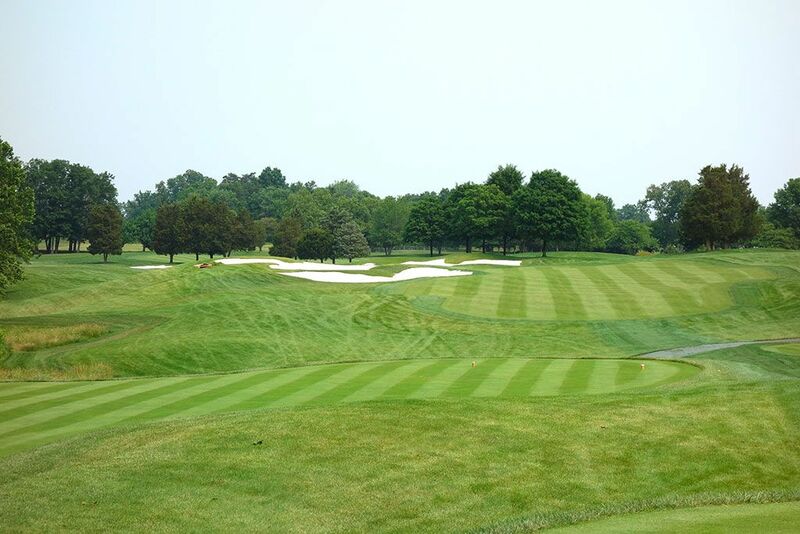 Course Website: Official Website - Visit Robert Trent Jones Club's official website by clicking on the link provided. 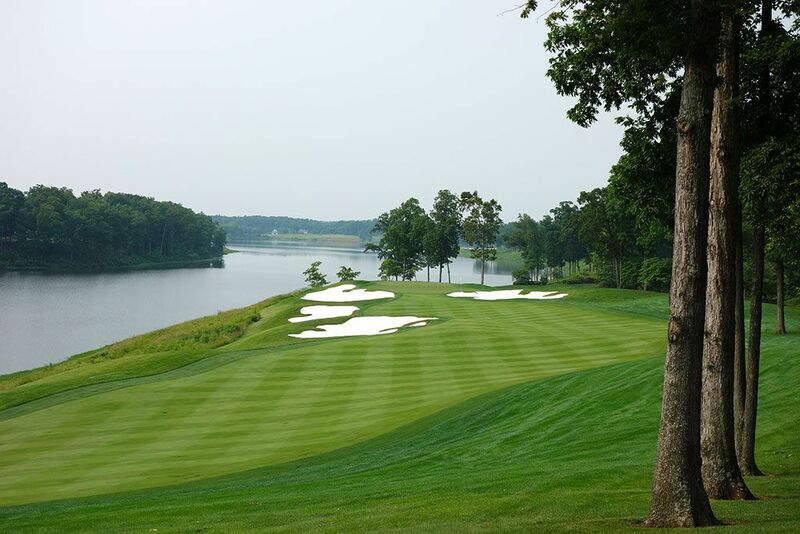 Accolades: Ranked 2nd in Virginia on Golf Course Gurus' Best in State list. 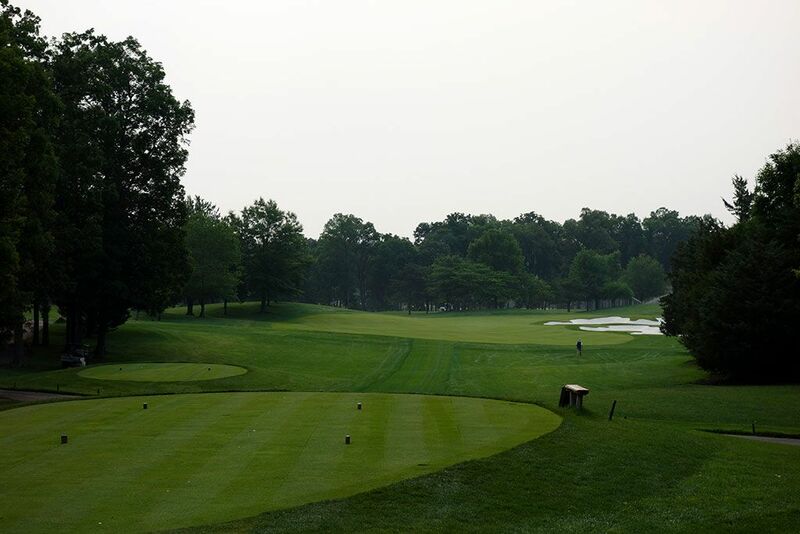 What to Expect: The RTJ Club is an exclusive club located an hour west of the White House and boasts a local membership of people often associated with the political scene of Washington D.C. though there are also numerous national members as well. The course was built with the idea of hosting PGA Tour and/or major events and has a palatial clubhouse that accommodates that idea beautifully. The course hosted the first four Presidents Cup matches held on American soil (1994, 1996, 2000, and 2005) where the Americans walked away victorious each time. The bunkering throughout the course is quite attractive and creates several opportunities for players to analyze their own game when selecting lines to take off the tee and what clubs to hit. 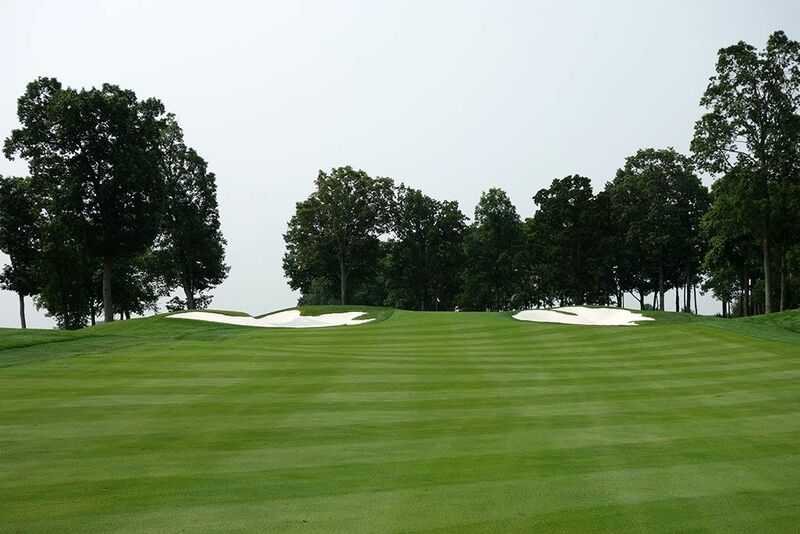 The conditioning is exceptional throughout the course with beautiful rolling fairways and true greens. 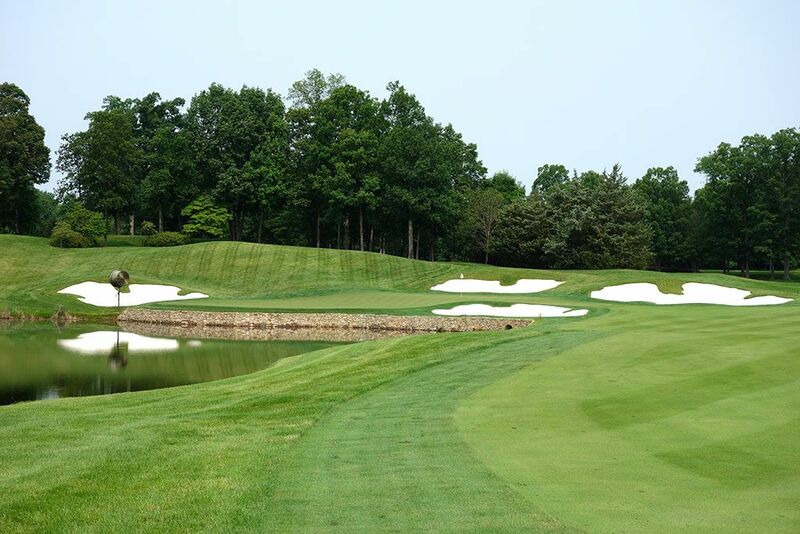 The climax of the course is found midway through the round as players are taken down to Lake Manassas for a five hole stretch highlighted by pair of stunning par threes that rival anything in the region. The back nine is the superior side of the course with dramatic views, plenty of risk/reward opportunities, and water becoming a bigger factor to contend with. That being said, the routing is strong from start to finish with solid holes throughout. Lastly, caddies are required for each group and while walking is encouraged, carts are available if desired. 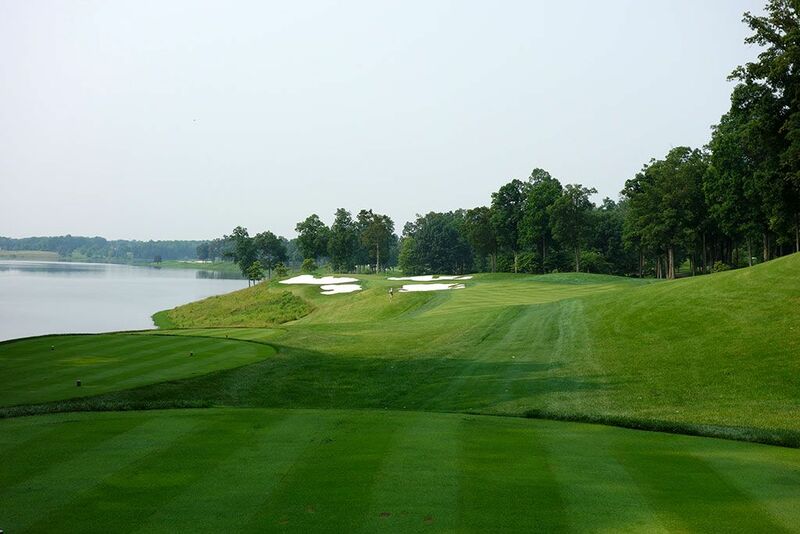 Signature Hole: 11th Hole – 215 Yard Par 3 – The two par threes (9th and 11th) on Lake Manassas are two of the most attractive holes in the state of Virginia with the 11th being an impressive do-or-die one-shotter to a peninsula green. A small pot bunker fronts the green and a larger bunker rests to the right but the big fear is the steep slope of tightly cut grass that fronts the putting surface as well as runs off to the left. Any shot hitting the tightly mown area will have players reaching for a new ball as they see their tee shot tumble down to the lake. The handful of trees peppered across the landscape along with the lengthy lake views provide a flat out beautiful scene. 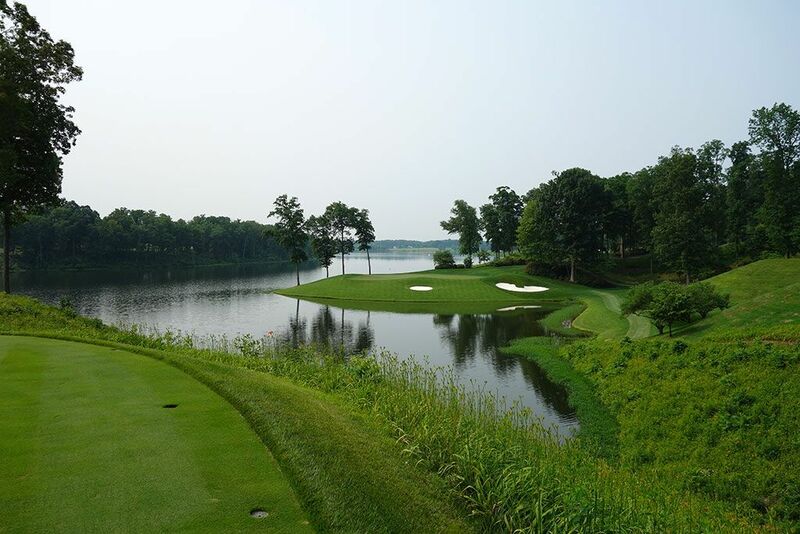 Best Par 3: 9th Hole – 200 Yards – The first of two stunning par threes on Lake Manassas, the 9th is a peninsula green surrounded by water on all sides except the front. The left and right sides of the green are covered by large white sand bunkers while any tee shot that carries a bit long will be kicked into the lake. The hole plays about a 1/2 club shorter than the yardage due to the downhill tee shot and shots coming up short will find a nice flat spot to get up and down from. 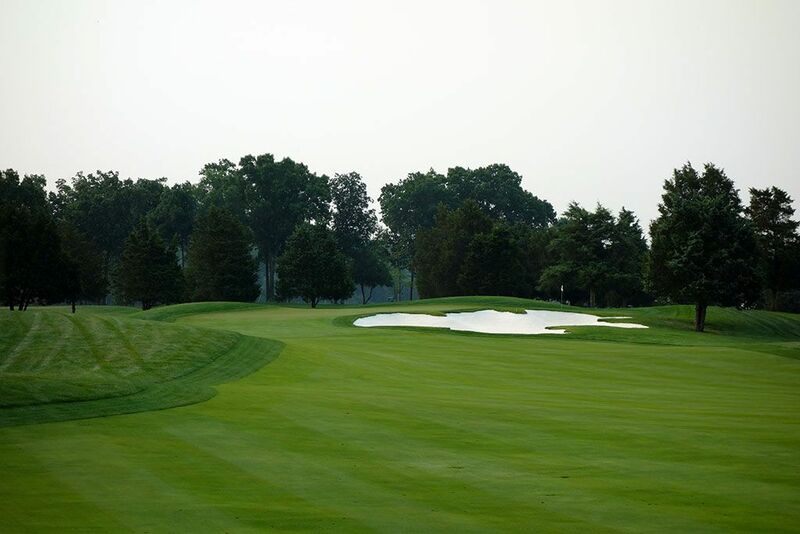 The 9th hole is the beginning of one of the most impressive stretch of holes in the Eastern United States. 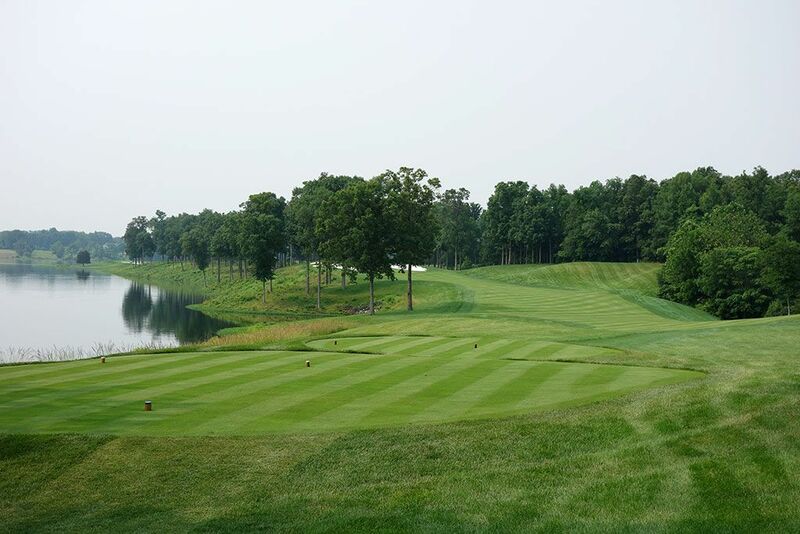 Best Par 4: 10th Hole – 380 Yards – The 10th hole is a dogleg that turns left towards Lake Manassas while a forest of trees frame the right side of the hole. While the scenery is impressive, players will want to take special note of how they plan to navigate the bunkering by laying up short of the sand with a sub-240 yard shot or trying to bomb a 280 drive over the bunker on the left where the fairway widens again. The green is two-tiered with the back shelf being the more shallow and less approachable portion of the putting surface to access. Best Par 5: 14th Hole – 630 Yards – This lengthy par five is a sweeping dogleg left that provides a risk reward opportunity at the finish. The fairway features a variety of bunkers to avoid before players make a decision on how to contend with the approach shot over water. The "safer" right side of the green features three bunkers and a sliver of water while the left side features a single bunker but much more water. The left side of the green sits 5-6 feet below the right side and presents some of the trickiest putts on the course. 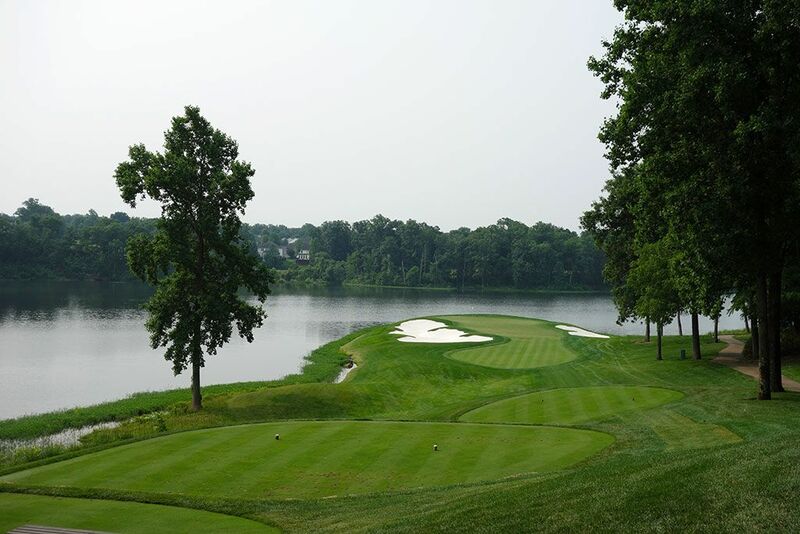 Birdie Time: 12th Hole – 525 Yard Par 5 – During the Quicken Loans PGA Tour event hosted by the RTJ Golf Club in 2015 the 12th hole played as a long par four, but us regular humans get to enjoy it as a par five which is usually a good sign you'll have an opportunity to score well. Another hole playing along Lake Manassas, this very reachable hole features no fairway bunkers to fear and sets up for a draw beautifully. The raised green features bunkers on both sides yet leaves the front wide open for balls to come bounding through. During the 2015 PGA Tour event this hole played 490 yards and ended up playing to a stroke average of 4.479 throughout the week; as a par five this is your chance to card a birdie. Bogey Beware: 3rd Hole – 500 Yard Par 4 – RTJ doesn't give players much time to warm up before he demands them to step up with their 'A' game. This dogleg right features three bunkers on the corner and an additional large bunker on the right up by the green. The fairway tightens near the bunkers and requires players to demonstrate both length and accuracy with their driver. The green is difficult to hold with a long club unless a high fade is brought in from the left side away from the bunker. There is no room for mistakes on this hole so taking bogey here is nothing to be ashamed of, just don't let a big number creep in.